Published twice per year, Weiss Ratings’ Consumer Guides contain nine individual guides, each for a different financial-planning sector. Weiss Ratings’ Consumer Guides deliver the critical information consumers need to make sound financial decisions. 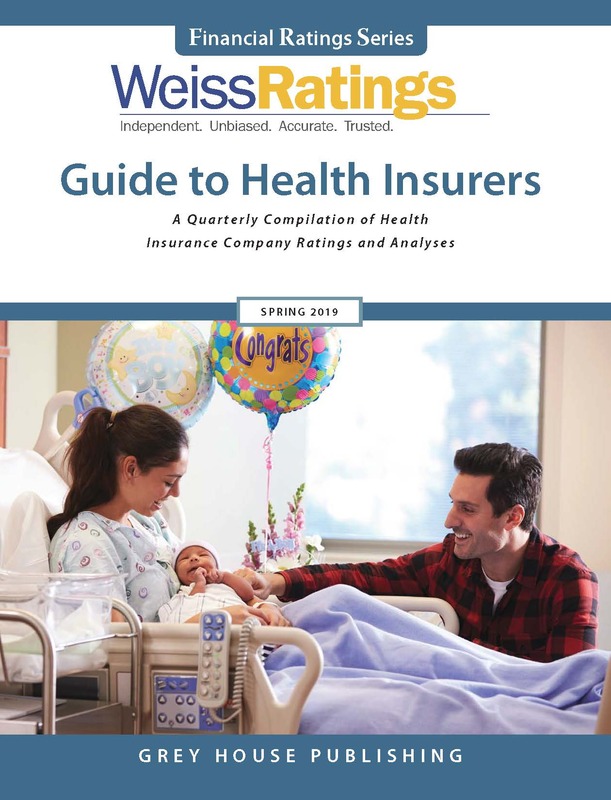 Each guide in Weiss Ratings’ Consumer Guides is packed with accurate, unbiased information and recommendations that patrons have come to expect from Weiss Ratings. Each guide offers a narrative about the subject, explains what consumers should look for when choosing a plan or policy, lists recommended companies to work with, and so much more. Each guide also includes several helpful Worksheets & Planners to further aid the user. The Consumer Guide to Health Savings Accounts shows patrons how Health Savings Accounts work and the choices those patrons have. An HSA is an account into which an employee or employer deposits money to be used solely for medical expenses for their family’s health care. This guide covers the differences in eligibility, ownership and control, and contributions and expenses that are related to managing the account. An added bonus to this guide is a section of Weiss Recommended Health Insurers and a section of Frequently Asked Questions. The Consumer Guide to Medicare Supplement Insurance instructs your patrons step-by-step on how to select a Medigap policy. Outlined are the 10 Standard Medigap Benefit Plans, along with the average premium rates based on age and gender. Also included is the Weiss Safety Rating on each company writing Medigap policies in the United States. The Consumer Guide to Automobile Insurance informs your patrons about the auto insurance coverage required by their state, helps them select the appropriate type of insurance for their vehicle, and teaches them ways to save money on their insurance premiums. Extra features include information about additional types of coverage and the anatomy of an auto policy, Quote Comparison Worksheets to help shop for the lowest rates, and a List of Recommended Auto Insurers in each state. The Consumer Guide to Variable Annuities provides the user with a thorough understanding of when variable annuities make sense and how they actually work. Additional features includes how to evaluate a variable annuity policy, all of the costs to look for, how to avoid or minimize these costs, and advantages and disadvantages of variable annuities versus other types of investments. The Consumer Guide to Medicare Prescription Drug Coverage is a helpful, straightforward guide that will help your patrons understand and act on the new prescription drug coverage plans. This simplified guide and the easy-to-use Planner & Worksheets take the mystery out of learning what Medicare prescription drug coverage is, what options are available, how to choose a prescription drug plan, and what happens once a person enrolls. 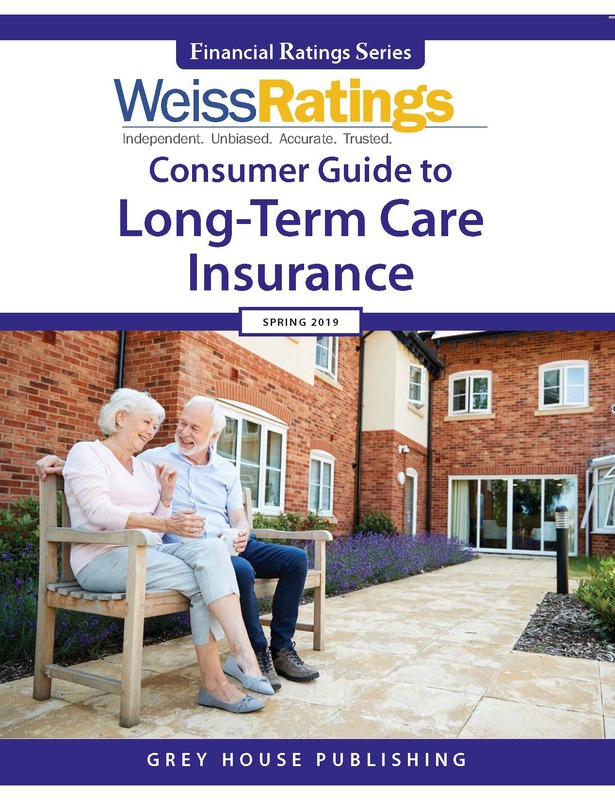 The Consumer Guide to Long-Term Care Insurance helps your patrons determine whether they or a loved one need long-term care insurance and, if so, how to purchase the right policy. Additional coverage explains: what Medicare covers, if Medigap insurance covers your patrons’ long-term care needs, and the different types of long-term care insurance. A helpful long-term care Insurance Planner is also included. The Consumer Guide to Elder Care Choices explores various care options available to seniors, including: Continuing Care Retirement Communities, Assisted Living Facilities, Home Health Care Agencies, Adult Day Care, and Nursing Homes. This easy-to-use guide will help your patrons learn what kinds of facilities are available, what they can offer, their pros and cons, and a general idea of what to expect to pay for each choice. The Consumer Guide to Term Life Insurance allows patrons to uncover the secrets in determining their life insurance needs. Calculating how much insurance to purchase is no longer a mystery with the handy Life Insurance Needs Worksheet, and users will find step-by-step guidance about what life insurance is, how much insurance they need, where to look to purchase the right policy, and which companies are financially sound. The Consumer Guide to Homeowners’ Insurance helps your patrons understand homeowners’ insurance, select the appropriate type of insurance for their home, and learn ways to save money on their insurance premium. Also included is an explanation of the anatomy of a homeowners insurance policy and how premiums are determined, Quote Comparison Worksheets to help shop for the lowest rates, and a list of Recommended Homeowners’ Insurers in each state. Anyone looking for accurate, unbiased ratings and data will benefit from Weiss Ratings’ Consumer Guides. 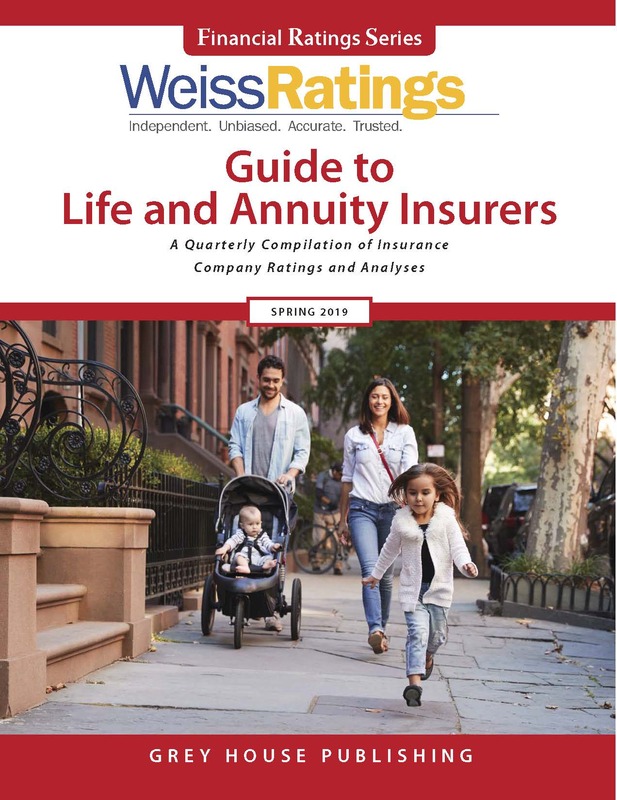 The tools in Weiss Ratings’ Consumer Guides focus on patron education, with easy-to-navigate planners and worksheets to understand and evaluate investment, health, and insurance needs. The Consumer Guides present helpful, step-by-step information in an easily accessible format, so patrons can navigate these difficult choices with ease. Weiss’s rating scale is extremely straightforward and easy to understand. There are no complicated number grades to interpret, no colored paper to decode, and no stars to count. Instead, each entry gets a simple, intuitive letter grade that immediately identifies the wheat from the chaff. This is one more reason why Weiss Ratings is widely recognized as "America's Consumer Advocate for Financial Safety." The Weiss Safety Ratings have been proven to be the most accurate available from any of the major rating agencies. Plus, unlike the other major rating agencies, Weiss does not accept compensation from the companies it rates, and thus does not allow companies to influence the ratings they receive or to suppress the release of their ratings. 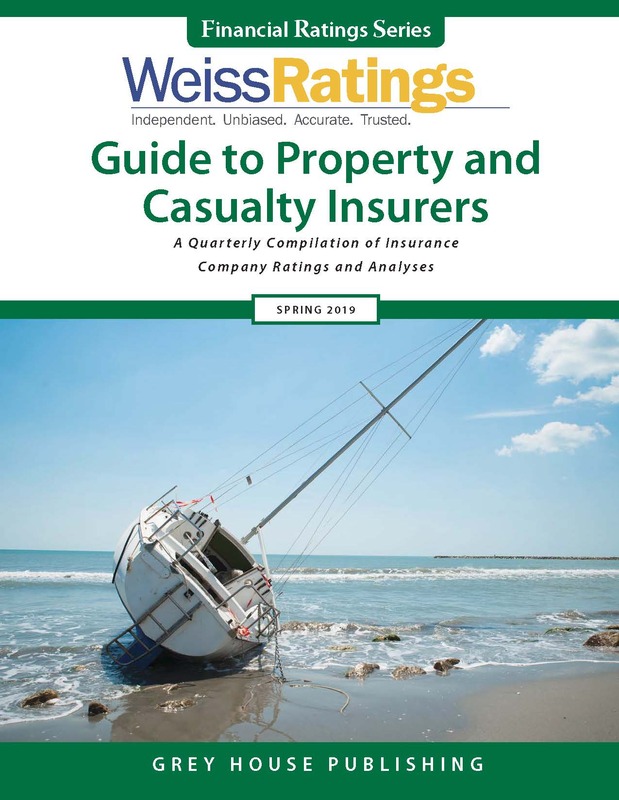 In fact, the U.S. General Accounting Office (GAO) validated Weiss’ accuracy in its Insurance Ratings study, and that same superior rating methodology is used when deriving all other ratings as well. Free Online Access to the New Online Platform! Call (800) 562-2139 to get a Free, 30-Day Demo of the new Online Database! “ "will be invaluable to an aging population and children of elderly parents. "